A parenting forum user has taken to the net to share a wedding invite they received that would cost her €6K to attend - and fellow posters are coming up with some hilarious ways to decline it. 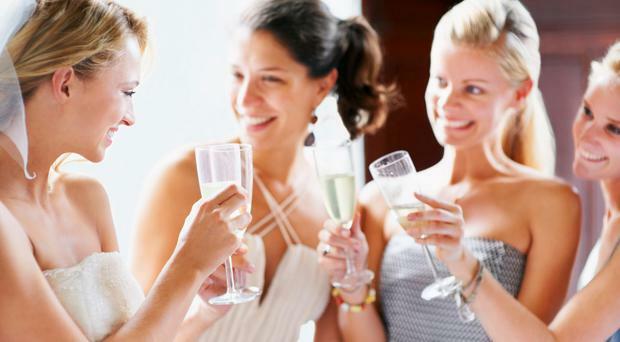 The post, jokingly named "I Win Mumsnet Weddings" in reference to the sometimes outrageous wedding antics users share with each other on the site, details a wedding invitation one user received which included five separate events with different dress codes, all occurring within the week-long wedding celebrations. Guests are also given a link to a gift list on Amazon featuring products with prices starting at over €300. The user also explains that the invite - which she jokes is 'not a summons, it's an invitation' - suggested that guests might "chip in" for the bride's accommodation the night before the wedding to "show her our love". The week-long US wedding, the user notes, would end up costing each guest over €6K when they take into account accommodation for themselves at the venue. "I've read about these things on Mumsnet before but to actually have an invite! I was more excited about winning mumsnet than the prospect of forced fun in the USA," the user joked. "Wait - do you know anyone who's actually going to be able to go to this?? Do they have insanely rich friends?" one user responded, continuing "And most importantly- is there a hen do?!!" Users on the forums were outraged at the requests, with one commenting "The whole thing is a farce. Pay for the brides hotel wtaf? Your wedding you pay for it you entitled idiot." "Maybe write back to them telling them you've already booked your holiday for the year," another poster advised, "but that it actually looks loads better than what they have planned - include a brochure perhaps - then suggest they might want to tag along and have their wedding there . "Wouldn't that be a fabulous upgrade!? You're welcome." "Dear crazy wedding couple," another adds, " Many thanks for the invitation to your wedding, we will be unable to attend as we have other plans for our money. Have a lovely wedding day/week."